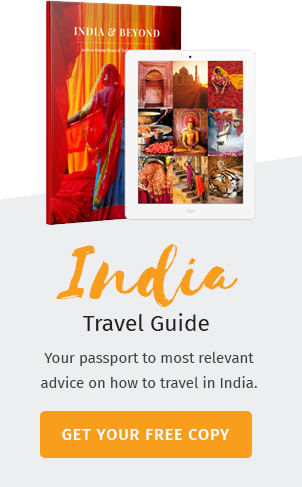 Life in India is full of celebrations, every event has a strong connection with the history, heritage, culture and religion. Ugadi is one such festival symbolizing the welcoming of spring season. Ugadi is the festival of Telugu and Kannada new year, usually celebrated during the months March or April, which marks the commencement of the first month in Telugu or Kannada calendar called Chaitra. This year, Ugadi festival falls on April 6th, 2019. The religious significance of Ugadi festival is referred to as the day on which the celestial Trinity Lord Brahma started the creation of lives on this earth. 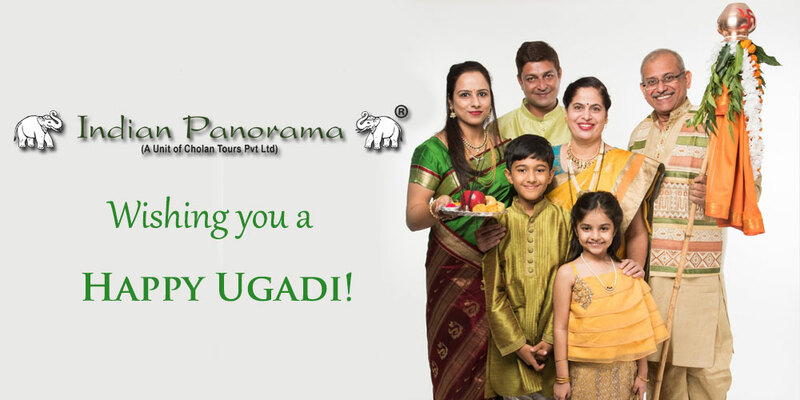 Ugadi comes from the Sanskrit festival, Uga means Era and Aadi means to Start, Ugadi means the commencement of an era. Scientifically, the spring season brings a fervor into the human lives, making the ambience pleasant and giving reasons to celebrate. 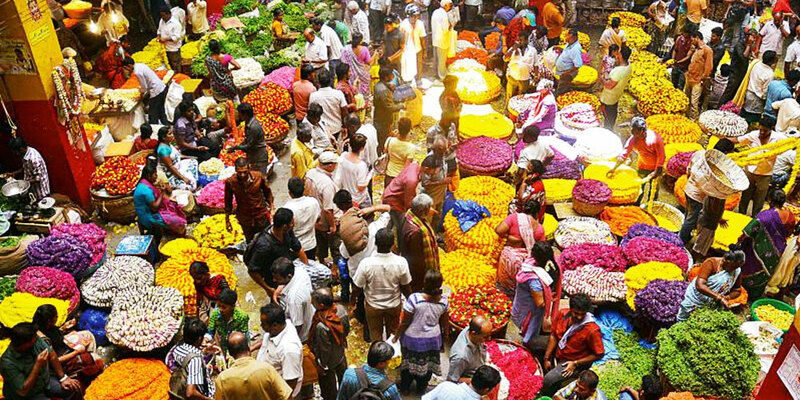 A pic from a day before Ugadi festival in a flower market. A week ahead of the Ugadi day, the entire region wears a festive look, houses cleaned and decorated, purchase of new dresses and preparatory materials for making the delicious sweets and dishes are in full swing, all give a wonderful color to the festival. On the day of the Ugadi festival, all the inmates of the house get up very early and take a head bath in sesame oil. After getting the blessings from the elders, they wear the new dresses. Elaborate poojas and rituals are conducted. Anointing the idols, decorating the idols and pictures of Gods with new pieces of clothes, jewels and flowers, offering them the specially made dishes and finally the poojas are over with offering the Gods with the lighted lamps. Temples across Karnataka, Andhra and Telangana witness large number of devotees and special poojas are done in the temples. The gorgeous decorations attract everyone to the temples and in many of them, devotees are offered with Prasad which may even be an exhaustive meal. 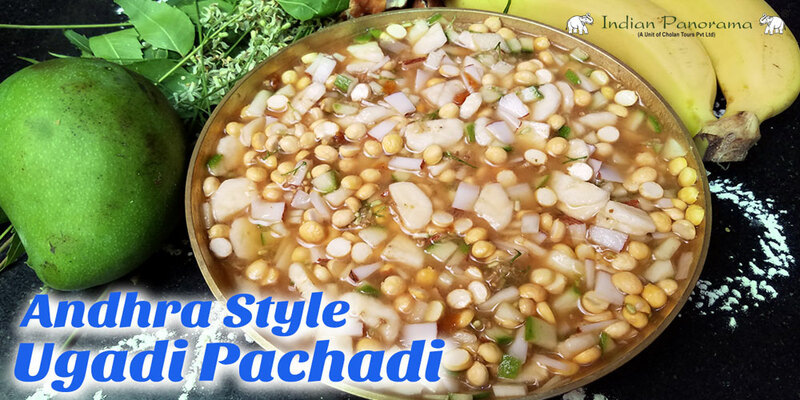 Besides all the delicious meals and dishes, Ugadi Pachadi deserves a special mention here. The dish made up of six differently flavored ingredients has a special meaning to convey. Neem, Raw Mango, Jaggery, Tamarind, Salt, Chilli powder are the main constituents of this Ugadi Pachadi. Each one of this gives a different taste to this dish, symbolizing the different phases of our life. Human life is a combination different occurrences, both happy and sad, and everyone should get along with it leading to a peaceful end. In the evenings , there is a custom of reading the Telugu Panchang, a kind of calendar predicted by the religious heads that are read in the temples and lot of people gather to listen to the events for the coming year. The diaspora of Telugu and Kannada speaking people across the globe celebrate the Ugadi festival in a grand manner as it connects them with their native regions. People in certain places of Maharashtra, Punjab and Sindh celebrate Ugadi festival. Hindus in Bali and Indonesia also welcome the spring with the pomp celebration of Ugadi , the Telugu and Kannada new year. 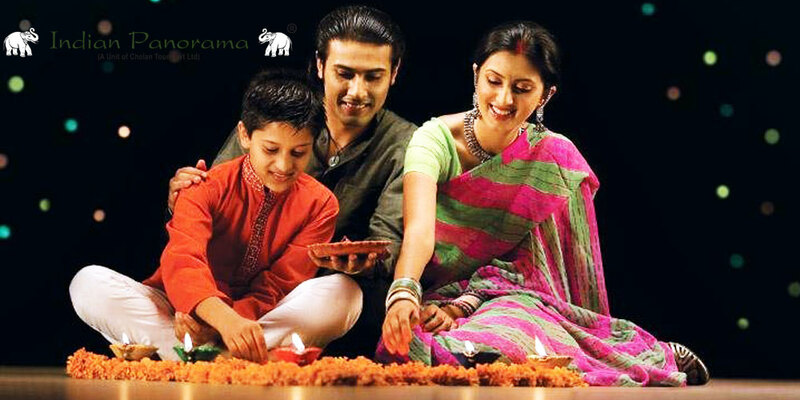 There may be any number of reasons to celebrate the festivals on religious, spiritual, social and historical grounds. But as for as the mankind is concerned, the only reason for the festivals is the reuniting of family and friends and rejuvenating the spirit of leading a happy and successful life against all the odds and it is in fact the highest need of the hour as our younger generations are living in nuclear families. Ugadi festival is one such opportunity to reconnect ourselves with the people around, as man is always a part of the society ! Let us plan to celebrate Ugadi this year, giving a grand welcome to a flourishing Spring 2019 !